Luckyfinds: ASIAN SECRETS at 30% price off this May! ASIAN SECRETS at 30% price off this May! Thinking of kick-starting a skin regimen that will give you a youthful skin? This month of May, is the best time to do it since All Asian Secrets products are on a 30% price off! Yes, you read that right. All Asian Secrets products ranging from whitening dry body scrub variants to herbal soaps and facial washes are on a nationwide sale! Get your Asian Secrets favorites: the Asian Secrets Green Tea Whitening Dry Body Scrub (only P 95.55 from P 136.50 for a 250g tub), which removes dead skin cells and whitens skin; Asian Secrets 2-in-1 Anti-Pimple and Whitening Face & Body Herbal Soap (discounted at P 20.30 from P 29), a bar soap that combines the efficacy of antibacterial Turmeric, pimple-drying Tea Tree Oil, and skin-healing Mangosteen. These Asian Secrets products and other favorites are on sale, so it’s definitely time to achieve the kinis-puti skin you’ve always wanted. 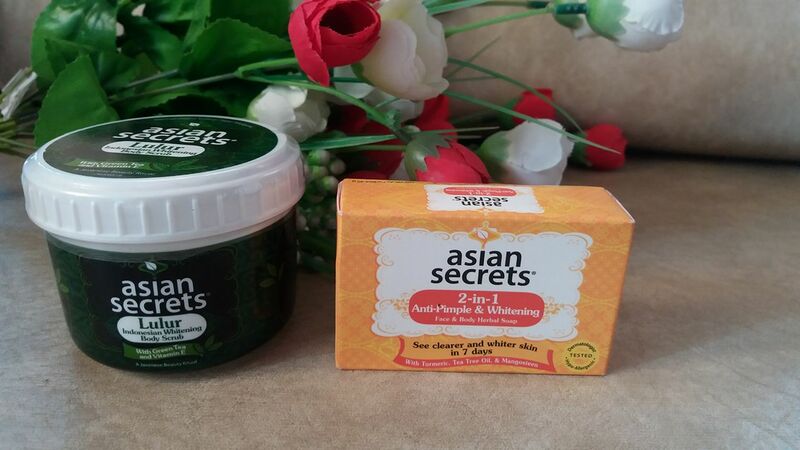 Asian Secrets is available in all leading supermarkets, drug stores, and personal care stores nationwide. The 30% price off promo runs until May 31. So, grab your stash this month to get kinis-puti skin!